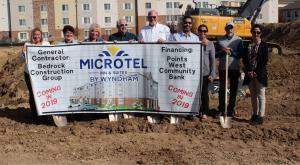 LOVELAND, COLORADO, UNITED STATES, October 26, 2018 /EINPresswire.com/ -- City officials and community members celebrated the official groundbreaking of the new, 62-room Microtel by Wyndham Loveland in with a public groundbreaking ceremony at 3996 Peralta Drive in Loveland, CO on Oct. 22. The hotel is scheduled to open in May 2019. 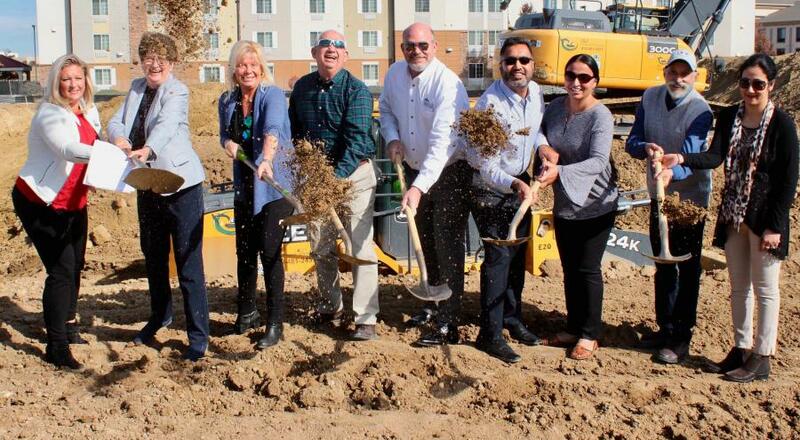 Loveland’s own Mayor Jacki Marsh attended the groundbreaking and welcomed the new Microtel owner, Gurvinder Singh of White Water Hospitality, LLC, who is a first-time hotel owner, to the City of Loveland. “On behalf of the city of Loveland, welcome to Loveland, ‘The Sweetheart City,” Marsh said at the groundbreaking ceremony where attendees and participants crowded around a line of shovels, waiting to officially break ground. “I have a lot of people to thank and I’ll start by thanking Wyndham Hotels and Microtel and the Singh family. Microtel by Wyndham Loveland will offer guests a meeting area, an exercise facility, and breakfast, and is projected to average around $100 per night. The new Microtel by Wyndham Loveland is strategically located near the Budweiser Events Center and the Northern Colorado Regional Airport, which is expected to attract a year-round stream of guests passing through the area. The entire process from site selection to groundbreaking takes about two years and the effort of several organizations. Bedrock Construction Group, a company based in Orlando, Florida, is leading the building of the hotel. Channel Point Hospitality, the management company, will work closely with the developer, Accurate TDC, LLC, during the construction process to ensure a successful opening in May 2019, at which point they will take over the day-to-day hotel operations. Point West Community Bank financed the hotel. Microtel officials attended the groundbreaking to welcome the new owners into the Wyndham family, including Microtel Brand President Keri Putera. According to Putera, the Microtel brand is an award-winning brand that frequently out-performs others in terms of quality and consistency and is growing rapidly, saying that 25-30 new Microtel across the country were under construction, including the new Microtel being built in Fountain, CO.
Microtel is considered an upper economy brand in the Wyndham Hotels & Resorts family and is the only all-new construction brand among economy hotels. The Wyndham Hotels’ rewards system is also consistently named a best travel rewards program by U.S. News and World Report, Wyndham Rewards® is the world’s most generous loyalty program offering members a simple earning structure of a guaranteed 1,000 points for every qualified stay, along with a flat, free night redemption rate of just 15,000 points per room per night—the first of its kind for a major rewards program. The new Microtel by Wyndham Loveland is expected to create 15 to 20 permanent jobs once staffing begins. More information as construction continues can be found on Facebook. Click here.